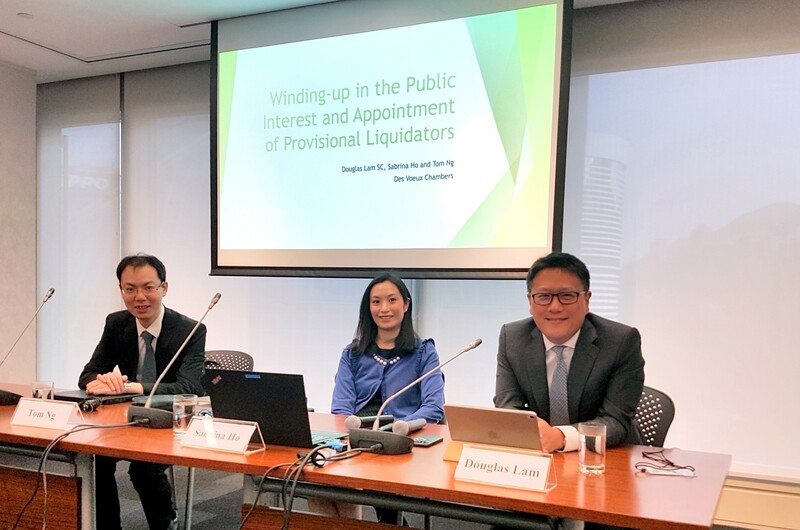 In one of the first events of the new year, Douglas Lam SC, Sabrina Ho and Tom Ng delivered a seminar on "Winding up in the Public Interest and Appointment of Provisional Liquidators" before an audience consisting of members of the Securities and Futures Commission. The seminar focused on s.212, 213 and 214 of the Securities and Futures Ordinance (Cap.571), as well as s.193 of the Companies (Winding Up and Miscellaneous Provisions) Ordinance (Cap.32). Drawing on their experience, the speakers discussed the relevant Hong Kong and English authorities. The seminar concluded with an interactive Q and A session.